Do you listen to podcasts? How about your kids? 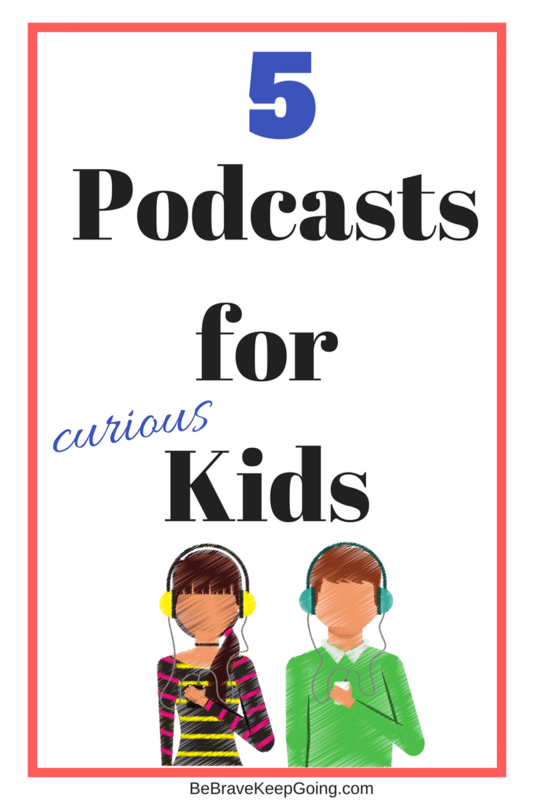 We love podcasts for kids! Podcasts are like pre-recorded radio shows except instead of the radio, they are streamed over an MP3 device or online. Podcasts allow people from all walks of life to share their passion for any number of topics or ideas. 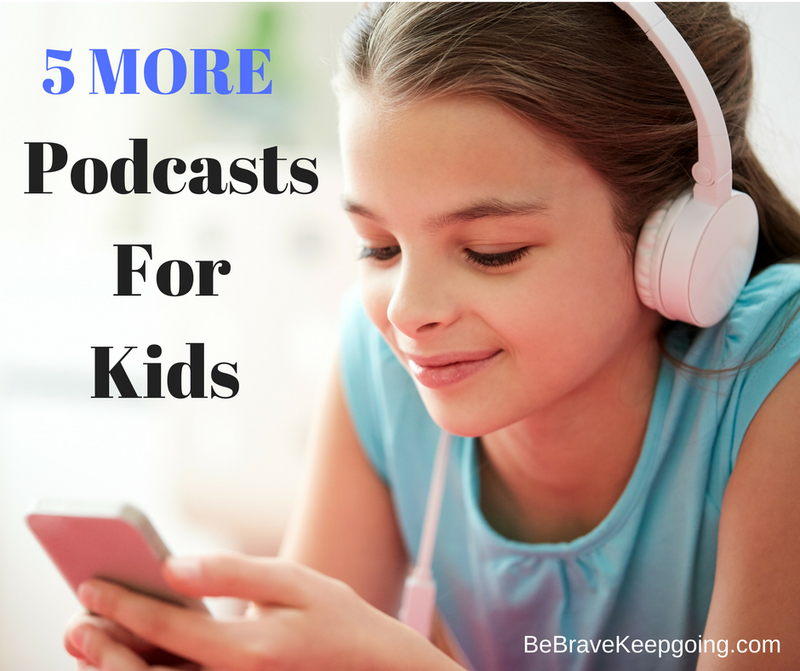 Podcasts are great for screen free family time, alone time, rest time, and road trip time. There are a bunch of podcasts that our family loves - some about storytelling, some history, and some science. 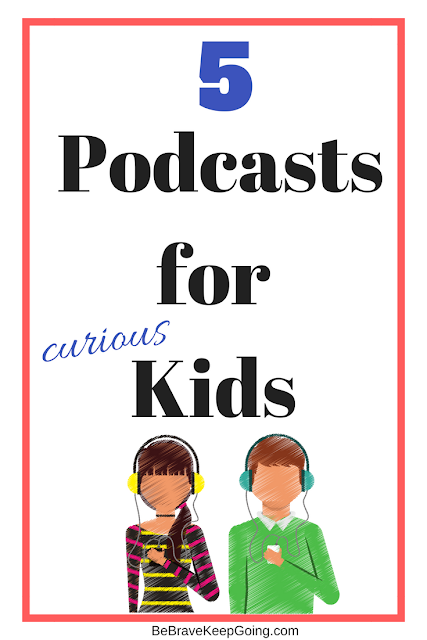 Here are some of our favorite podcasts for kids. If you have history buffs in your family, you'll love The Past and The Curious. Started by Mick Sullivan, The Past and The Curious is a podcast for kids that are curious about History and love to hear interesting stories about the past. It's a labor of love for all of those involved. So far, there are 13 episodes available, about one per month. We loved the recent episodes on presidents shaking hands. You can listen to The Past and The Curious via iTunes, sound cloud or online through their website. What if Unicorns were real? What if kittens could turn into vampires? What If World is a podcast that takes your kids "what if" questions about all the things and turns them into a story. No "what if question is too fantastical or too far fetched. Eric James O'Keefe is the host and story teller with Karen Marshal producing. Wow in The World is a Podcast for kids by NPR. This wonderful podcast for kids invites children to explore all the super rad stuff about science and technology. Hosts Mindy Thomas and Guy Raz are on hand in every episode to be your guides to find the wow in our world. Sparkle Stories is a podcast about stories for families all over the world. The podcast is a selection of stories from their subscription service. When you subscribe to Sparkle Stories through their website for a fee, you get access to all of the audio stories for children in the Sparkle Stories collection as well as the crafts and educational component. The readers voice is very calm and soothing. And they have a free 10-day trial going right now on their website. Join Finn Caspian on epic adventures in this science fiction podcast for kids. Episodes are only 15-20 minutes long. Perfect for driving around town or listening to a bunch on a long car ride. Finn is an 8 year old boy who travels on an interplanetary space station. He and his friends go on adventures in space, helping aliens, solving mysteries, and discovering the great beyond. We encourage you to start at episode one and listen through! Nate is a 6 year old boy who has a podcast about, yep you guessed it, science. It's called The Show About Science. Nate, along with the help of his dad interview scientists from around the world and explore all things science. Nate has even been featured on Ellen. Whether it's a podcast about the tesla coil, fossils, genetics, or even the science and physics of Santa, Nate explores it all. There you have it! And if you want even more podcasts for kids check out our other list of even more podcasts for kids.